It started on a hot afternoon in May, deep in Bears Ears National Monument. Four of us had been going hard for a couple of days and the fatigue from difficult miles was stacking up. One of us was struggling. 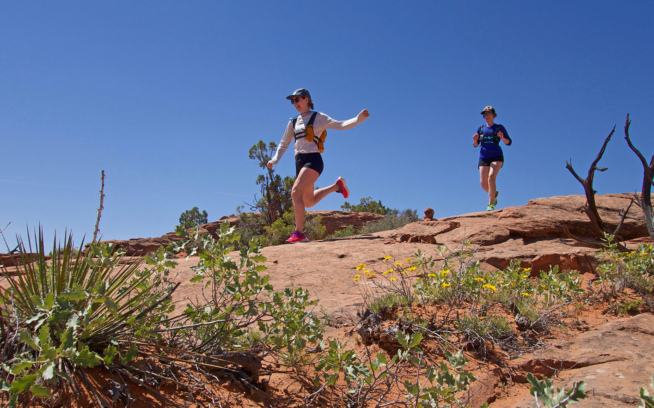 It might have been lack of training, or perhaps improper fueling for back-to-back 12-hour days running through the wilds of southern Utah. Or maybe, as we planned the trip, we hadn’t made clear that the mileages were just estimates and so far they were a bit off. Whatever it was, Matt was not having a good time. Jared leaned over to me as we marched along the sandy canyon bottom. “You know,” he confided, “if we start running for a bit, it will make Matt grateful for when we walk.” We both chuckled, then started trotting along, intent on helping our friend find thankfulness. A couple months later, Jared and I had embarked on another big adventure, this time in the High Uinta Wilderness of northern Utah. 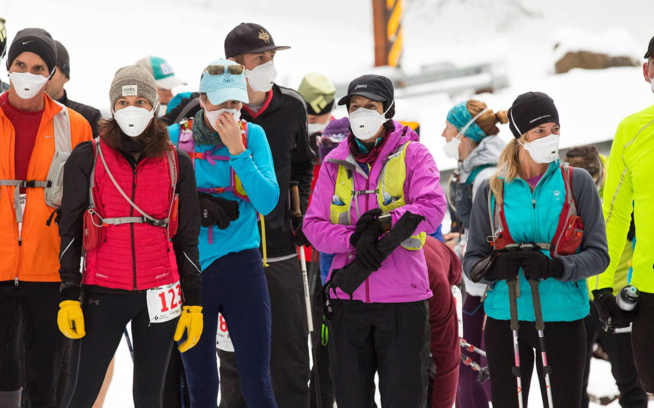 Our objective was to climb all of the state’s 13,000-foot peaks in record time. Six or seven hours after leaving the trailhead we joked about our current lesson in gratitude. For most of those hours, we had been traveling on terribly loose talus—the kind that moves every time it is touched. No rock, from the smallest pebble to the largest boulder, could be trusted to be stable. We became increasingly grateful for the rare buttery-smooth single track. I was completely caught off guard. Here we were, 22 hours deep, behind schedule and truly digging to keep the progress forward. 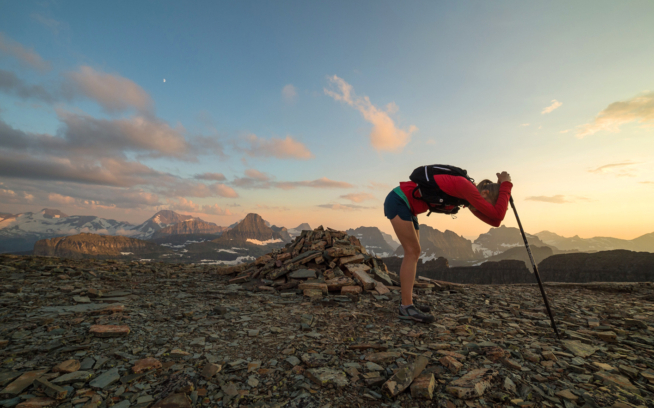 Yet Jared stood there smiling, and explained that he was grateful to be in the mountains and grateful to be able to push his body well beyond what most think is possible. That simple comment reframed our entire experience. 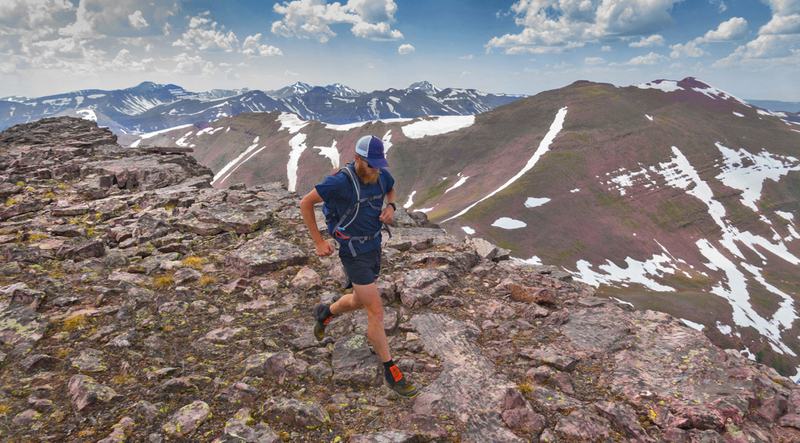 We would continue on for another 10 hours of tedious and difficult high-altitude terrain, along seemingly endless ridgelines, constantly teetering on loose talus. It would have been very easy to hunker down in the pain cave for an old-fashioned sufferfest, but we didn’t. Instead, we enjoyed a good lesson in gratitude. On July 7, 2017, Luke Nelson and Jared Campbell completed the Uinta Traverse in 32 hours 50 minutes, the fastest known time for the 60-mile traverse that gains 22,600 feet of elevation.